Happy, full of life, a whirlwind of loveliness, five-year-old Lulu just has a great big smile that lights up the world. But in January 2018, just months after starting school, she was diagnosed with high-risk neuroblastoma and it had spread to her bones, bone marrow and lymphatic system. Lulu immediately started chemotherapy and surgery, and more chemotherapy, stem cell harvest, high dose chemotherapy, radiotherapy and immunotherapy (which she is currently having) followed. Her family want Lulu to access treatment in New York a clinical trial which is showing promise in reducing relapse rates, which near 50% with high-risk neuroblastoma. If that happened to Lulu, her chances of survival would drop to less than one in ten. Her parents are launching an appeal to raise £162,000 by July 2019, and hope Lulu will be in remission at the end of immunotherapy to be able to access the treatment. "The amount is daunting but we can't put a price on our little girls life. She has been so brave, she is our little hero. Please help if you can so we can potentially save our daughters life and prevent a relapse," says Rob, Lulus dad. When Lulu started school in 2017 she absolutely loved it, making friends straight away and being the first person to help other children struggling to settle in. "But by the middle of November, she just wasnt herself. She was tired and had a loss of appetite. We wondered if it was starting school full time. But by the beginning of December she had lost weight too so we took her to the doctors", says Rob. The blood test showed she was very anaemic so she was given iron to supplement her diet. But with no improvement and now a pain in her groin, Rob was insistent the doctor referred Lulu to the hospital. After a week of tests the hospital did an MRI scan and found a mass in her little tummy and we were told she had some form of cancer. That evening Lulu was transferred to Addenbrookes hospital for a biopsy and the next day we were told she had neuroblastoma. Further tests showed that the cancer had spread to her bones, bone marrow and lymphatic system. Lulu initially had nine rounds of chemotherapy which was followed by a seven and a half hour operation to remove her main tumour. Then there were two more doses of chemotherapy, a stem cell harvest and then high dose chemotherapy which involved 17 doses in one week. "The impact of this high dose chemotherapy was that it completely wiped out her immune system so she had to be kept in isolation for 33 days to ensure she was not impacted by any bugs or viruses," says Rob. Lulu lost her beautiful blond hair quite quickly during the first rounds of chemo, which we found very difficult. There were other side effects too, like sore throats, nose bleeds, and pain throughout her whole digestive system. Recently Lulu has had three weeks of radiotherapy and has now started immunotherapy which will last until May 2019. 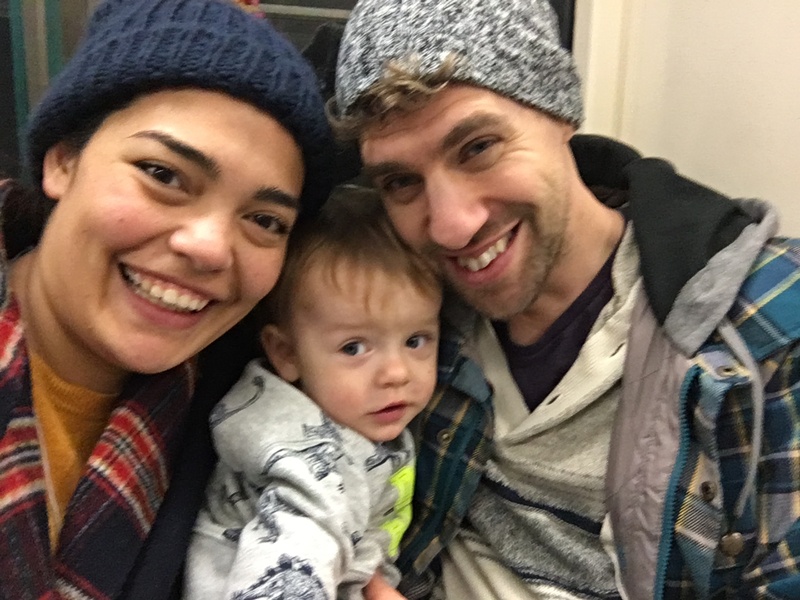 "Lulu and her mum Clare have spent over 130 nights in hospital this year and many more as an outpatient, while Ive continued working full-time to pay the bills and keep a stable home for our 11-year-old son," Archie, says Rob. Clare had to give up her dream job working with children and when all this is happening you struggle with the cost of cancer, being one income down. The hospital is 40 miles away from home and this year we have done an additional 20,000 miles. Lulu's family are hoping that after her immunotherapy her end of treatment scans will give her the all-clear remission! But even then her future will remain uncertain. Almost 50% of children will relapse and once they do, their survival rate drops to less than one in ten. So her family want to access the Bivalent Vaccine clinical trial at the Memorial Sloan Kettering Cancer Center in New York, which is showing promising signs in reducing the likelihood of relapse. The treatment is not available on the NHS or privately in the UK. Lulu's family are launching an appeal to raise £162,000 by July 2019, so she can access this potentially life-saving treatment. It could be her best chance of remaining cancer-free. Through all the pain and suffering of her treatment, Lulu still manages a little smile or comes out with a funny statement which shows her beautiful character shining through. It gives us the strength to do what we have to do to support her and be strong as a family, we cant give up! There are many ways you can help Lulu: by making a personal donation; holding a fundraising event; getting sponsored to take on a challenge; or simply by following and sharing Lulus story through her Facebook page. You can make a donation via this page, or if youd prefer to text donate, text LUDV99 and your amount £1 £10 to 70070.